I was a little behind today and didn't get today's book under the tree until this afternoon. Little Man woke up from his nap, ran over to the tree, picked up his book and said, "Book! Book!" He immediately ripped the paper off and wanted to read today's book! It melted my heart that he's already figured out this routine and loves it! I needed some of that affirmation. It makes all of the legwork 100% worth it! 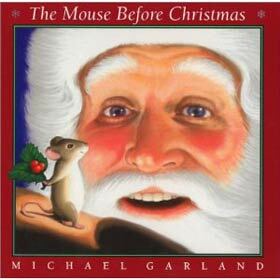 Today we read The Mouse Before Christmas by Michael Garland. This book has stunning illustrations. 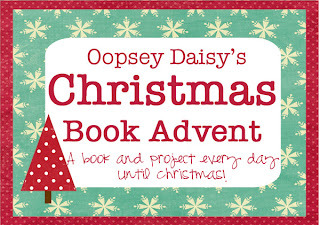 It is the story of a mouse who wants to meet Santa and ends up joining him in his travels across the world. Very sweet. 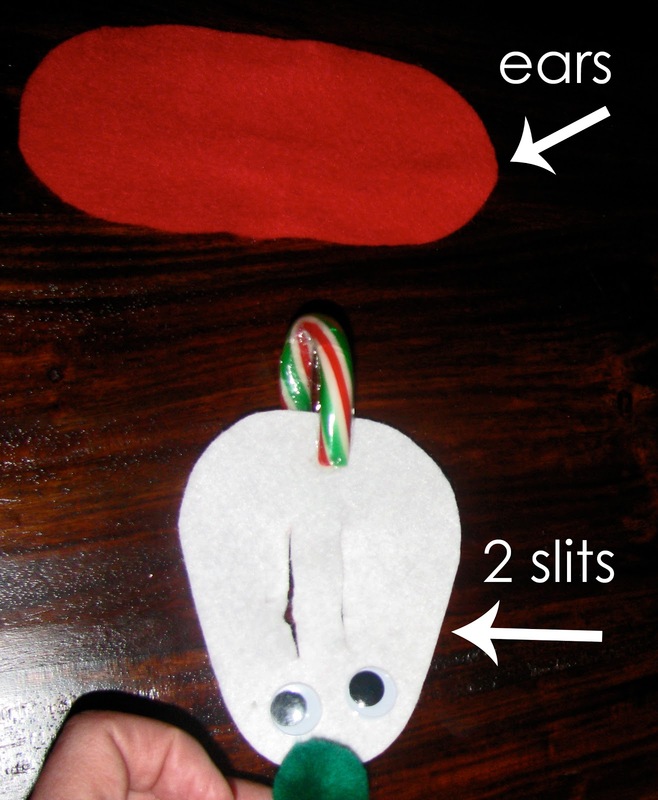 For our project today, we made candy cane mice! 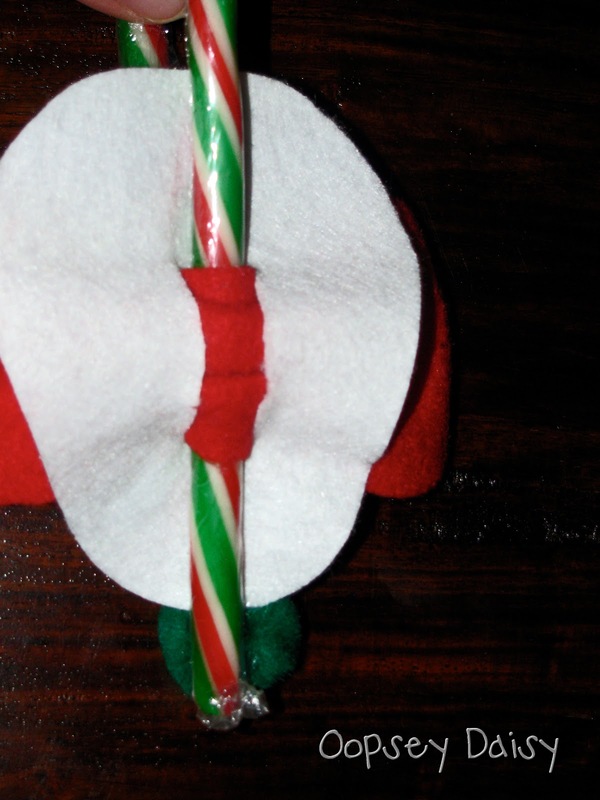 We used to make these with my Mom as easy holiday favors. I took one apart to use as my pattern, and it was so simple to re-create! * Cut an oval out of felt. * Cut 2 slits in the center. * Cut a long oval for the ears. It should by wider than the length of the slits. * Tuck the ears through the slits and just gather them like a bow. * Slide a candy cane in between the ears and the body. 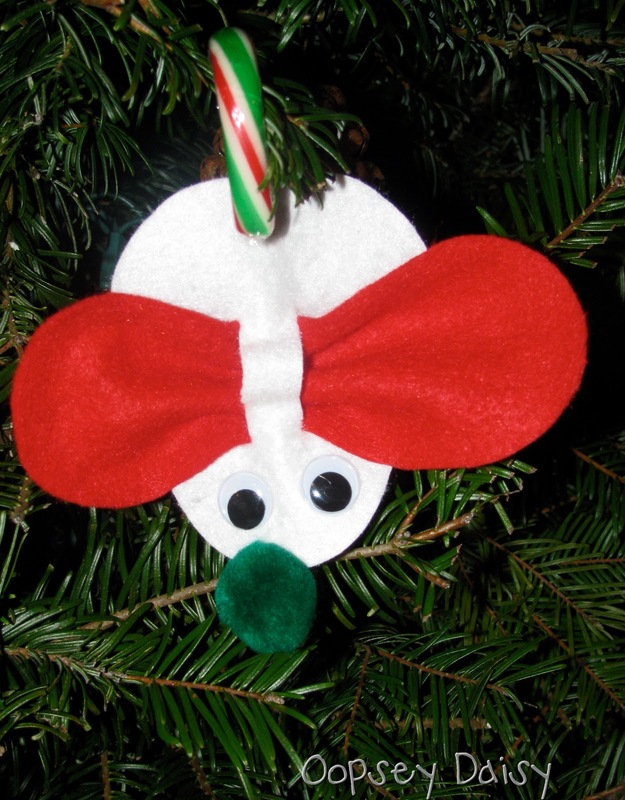 * Hot glue a pom pom nose and google eyes. 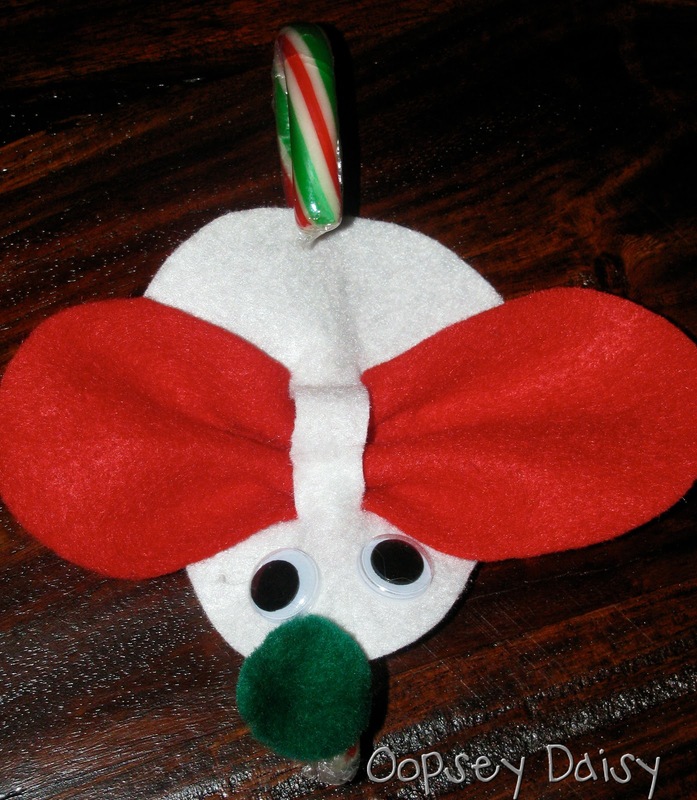 The candy cane is supposed to look like the mouse's tail. We made one for Little Man plus Mom and Dad! Little Man keeps carrying his around and comparing it to the mouse in the book. Such a smarty pants! 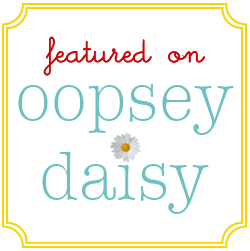 Thanks for reading Oopsey Daisy! Super cute! I'm loving all of these books and ideas. I can't wait to see the rest! that is such a cute idea! My kids love books:) I used to make those same mice when i was younger as well. they are so cute:) Have a great day! That is absolutely adorable. I'm bookmarking it for crafting in the future! Also, I linked to your blog in my post today. These are so cute!! I love the huge mouse ears!! What a great ornament!! Cute! My mum is making similar candy cane mice for presents this year! Wow! 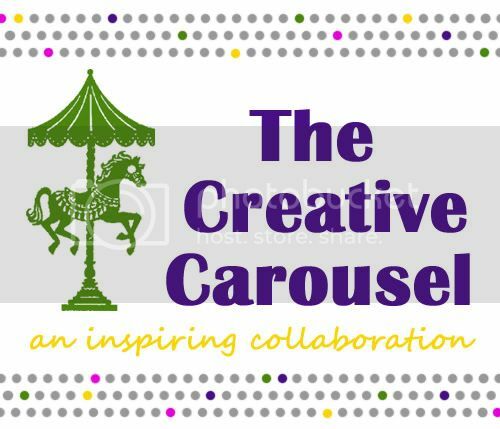 What a great craft for the craft challenged such as myself. 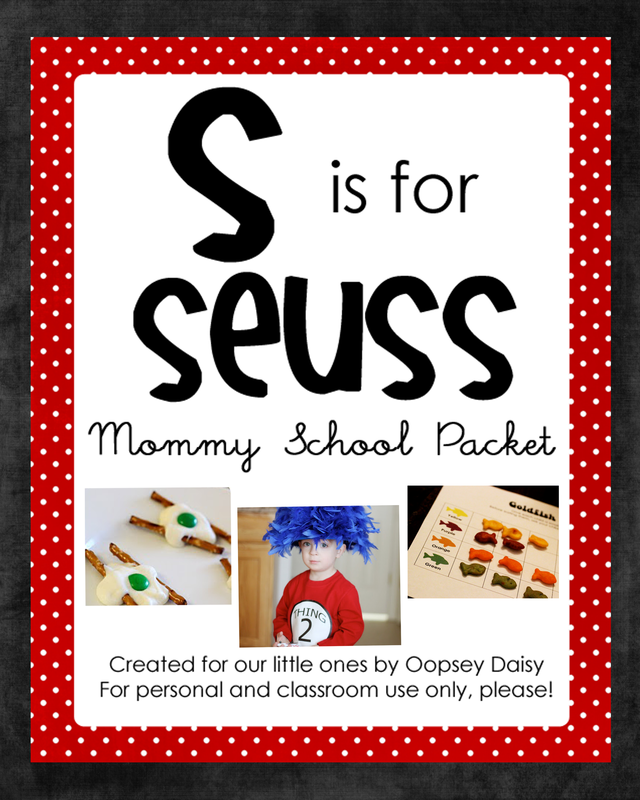 I will be making this with my little one. 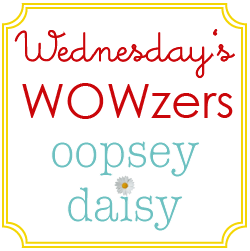 I recently found your blog and am enjoying reading all of your crafts and activities. I wish I had a small fraction of your creativity! Adorable! What a cute idea and just right for kids. I wont miss to book this, my kids will surely like this.. thanks for the tips! What a cute candy mouse. It will really be amazing if you can share a tutorial please.